Artisan rugs - Deep in texture, simple but captivating are a few words that sum up this collection. The raised structured design is emphasised by a plain base. All colours in this range are earthy toned and should compliment contemporary or traditional decors. 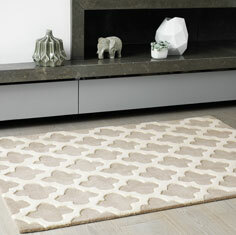 Artisan rugs are made in three standard sizes, bespoke made to measure sizes are available to order. Please note this range is available from September 2013.